All Fairview homes currently listed for sale in Fairview as of 04/20/2019 are shown below. You can change the search criteria at any time by pressing the 'Change Search' button below. If you have any questions or you would like more information about any Fairview homes for sale or other Fairview real estate, please contact us and one of our knowledgeable Fairview REALTORS® would be pleased to assist you. "(3) Parcels included in sale, Tax parcel numbers: #40156 (31.68 acres); #40158 (5 acres); #40161 (2.81 acres) these three combined total 39.49 acres. 29 Bedrooms 25 total bathrooms and 6 Kitchens Approx. 23,949 sq. feet of finished living space, then add 8,000 sq. feet for the Center Court Area, add the sq. footage for the racquetball Court, and add the sq. footage for the Conservatory! Still need more space?! No problem... Barn is 1500 sq. feet and has (2) overhead doors; also property has a 350 sq. foot Care Takers Lodge that is configured like a studio with kitchenette, and full bathroom (not calculated in specifications above). As for the living space, think of this home as 5 individual homes, and a large communal area referred to as the Ballroom connected to a common large Center Court area. Each of those spaces can be completely locked off from one another. 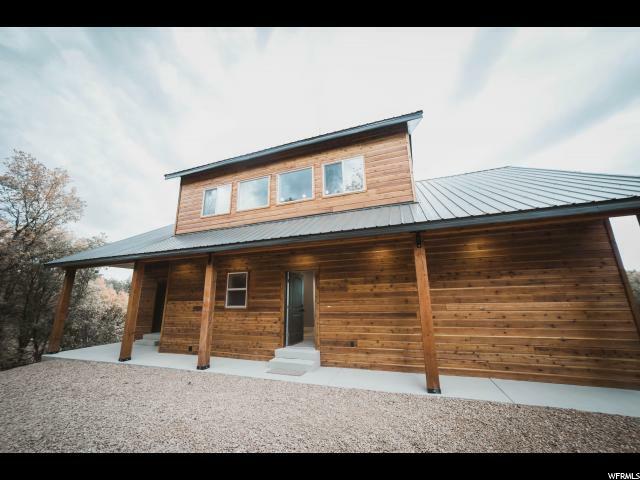 Each of the individual living spaces are complete with its own forced air furnace, Wood Burning Stove and/or Fireplace, roof mount Swamp Cooler, Kitchen, Garage, and Front Door entry. Ballroom has central air conditioning. Center Court Area has elevator type lift for ease of moving items to second floor. Home has solar w/ batteries but is also connected to the grid and to make sure you never go without power it has a 17000 kw generator as backup! One of the multiple garages is set up for RV's with (3) 13' overhead doors and extra length. Lot runs fairly flat, is easily accessible with a gravel and dirt driveway that circles the property making it very user friendly. Property is private and secluded with lots of space, has lots of trees and beautiful views of the surrounding mountains and valley. Location of property is a 90 min. drive from Salt Lake City and only a 35 min. drive to the Costco in Spanish Fork! Water is supplied from a well and the home has a 6000 gal storage tank. Homes gas source comes from a very large single propane tank. Current owners only need to have propane tank filled once a year! O"
"Incredible Shop and Home. Living area is 1140 sq.ft. 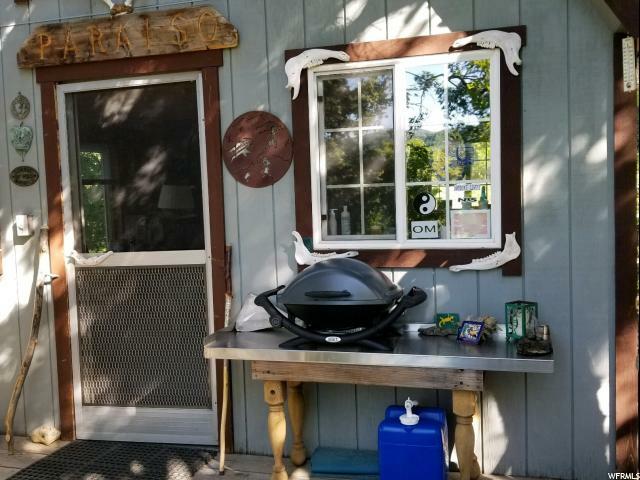 1 Bed, 2 Baths, Living rm, Kitchen, Dining area, Wood stove, Heat & Air Conditioning, Water Softner, Washer & Dryer, 420 sq.ft outdoor covered trex deck with Roller Shades. Fully landscaped, fenced yard, Private yard with trees surrounding. Shop 60 X 120 with all insulated panels. Heated - 2 propane heaters, Log stove and pellet stove. Divider for living area, garage space and storage. Mezzanine 400 sq.ft. All sides wired and plumbed for Air - Ingersol Rand Air Compressor. Detached gas station and storage. 600 Gallons of Diesel, 600 Gallons of Gas. 40' Connex for Firewood, pellet storage etc. Fire pit area & spot for camp trailer/RV Area. Additional area for parking. " "Fantastic brick home on .92 acres in Fairview Heights. Prime lot with superb views. Large Kitchen, dining area & great room. New pantry, mud & laundry rooms with custom cabinets. Formal living room and remodeled master suite. Toy room that can be office or 6th bedroom. Abundant closets. Walkout basement with family room, 4 bedrooms, full bath, large storage closets and indoor basketball court. Attached double garage. Full length deck and covered patio, kids play area and patio with water fountain. 2 metal garages, 20'x30' & 30'x40'. Shop contents are excluded as is the coal car and some other items in the yard. This is a must see home with so much to offer. " 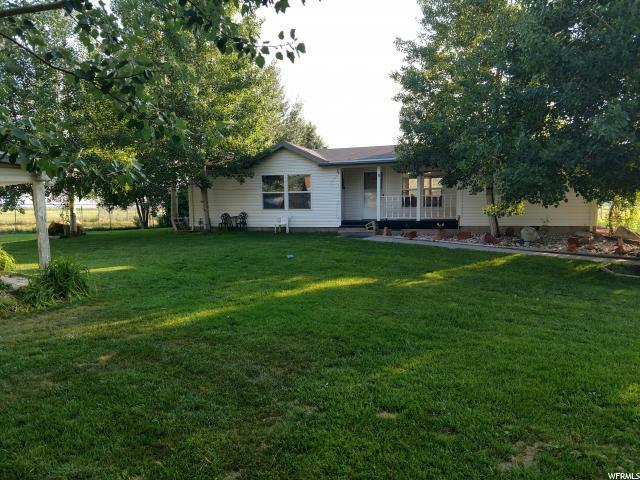 "Home & Business on 5 Acres in Fair View. Nice modular home on foundation. Property has its own well. large yard and set up for small acreage for pasture or crops. There is a meat processing operation to be sold with the property. This is a established business with a great clientele. All equipment is included in the sale. For a list of all included equipment call the agent. This is a great business opportunity for someone looking to get a turn key business where you can work from home. This is to be sold with MLS #1511497." 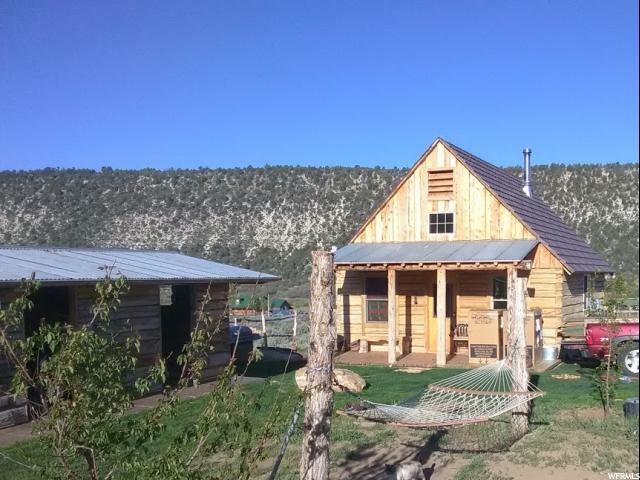 "Beautiful Rustic but Lavish Big-Log Cabin with Amazing views of the Sanpete valley. Square footage figures are provided as a courtesy estimate only and were obtained from the builder. Buyer is advised to obtain an independent measurement." "Incredible Mountain Cabin. Unbelievable views from a huge deck. Vaulted ceilings with all the amenities. Granite countertops. Hickory tongue and groove floor, Pine tongue and groove interior walls and ceilings. Exterior log siding. Fireplace. HOA includes a swimming pool, golf course, tennis etc. Each year you will receive a $60 punch card for the pool and golf. If you are looking for a cabin than this is it. A must to see. Call now!!" 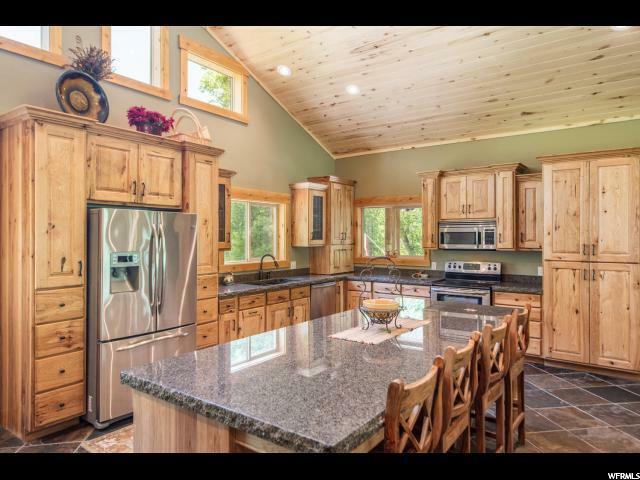 "Half log siding w/ covered front&back porch sitting on 2.96 acres of Horse Property.Open Rambler Plan,2x6 Walls,Vaulted Ceilings,9' Basement Walls,Great Room,Spacious Kitchen,Mudroom,Laundry Room upstairs. 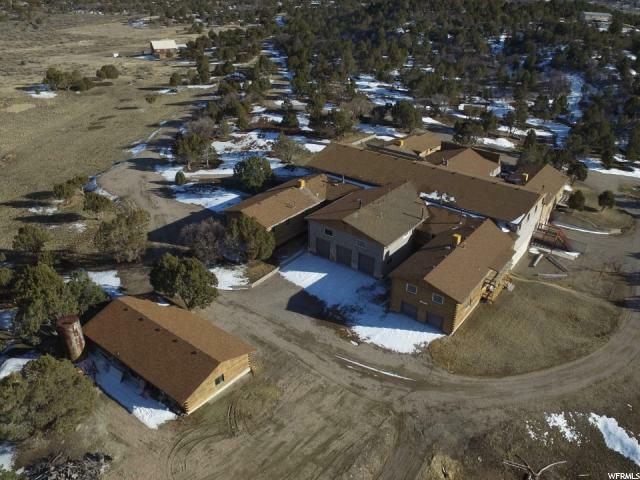 Huge Garage with Hot/Cold water lines,gas line,large workbench area&space to park ATV's. Pole Barn w/electricity&water spicket. Property has lots of parking/storage space, room to grow. 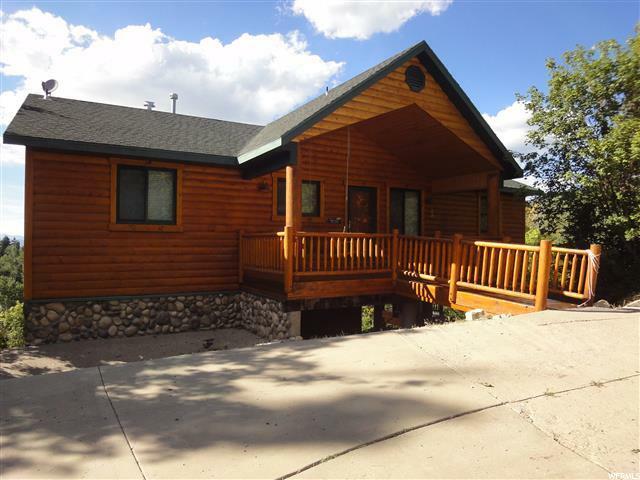 Close proximity to camping,hunting,riding trails&riding tracks. 30 minutes from Spanish Fork. Square footage figures are provided as a courtesy estimate only. Buyer is advised to obtain an independent measurement." "Private! Forested! Peaceful! Gated Community. Unfinished Huge Home! Views! close to the top of mountain Feeling of nature - awe-inspiring 24/7. Enough rooms & bathrooms for Family get-togethers and parties. Family & bathroom designed rooms on three floors, spacious, vaults. Gates going in & out of the property, as well as a garage for the snowmobile, vehicle. Power, and septic, & water holding system are in. Check this out! You will see high quality everywhere! Hydronic radiant heat etc. Find a builder to finish or finish yourself. Close to 4-way. Winter Fun! Snowmobile into the property in Winter. You don't have to go far away to get away! Call for more information Buyer and Buyers agent to verify sq.ft. and ALL information"
"Brand New Cabin! The Hollows subdivision is a gated community. Connected to POWER and WATER. Square footage figures are provided as a courtesy estimate only and were obtained from the builder. Buyer is advised to obtain an independent measurement." 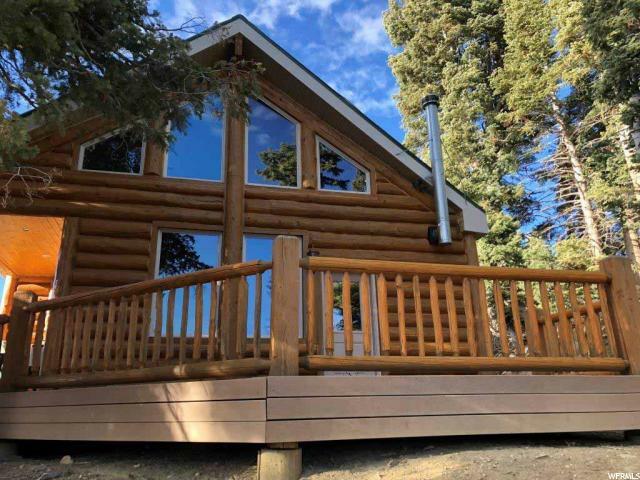 "Nice upper end cabin located in the upper end of Skyline Mountain Resort. Very nice area with abundant pine and aspen trees. Water source is a community well nearby. Modern interior with many upgrades such as hardwood floors, stainless steel appliances and rock wall around wood burning stove. GPS Coordinates: 39 36'52.5N 111 21'49.9W Elevation 8,405." 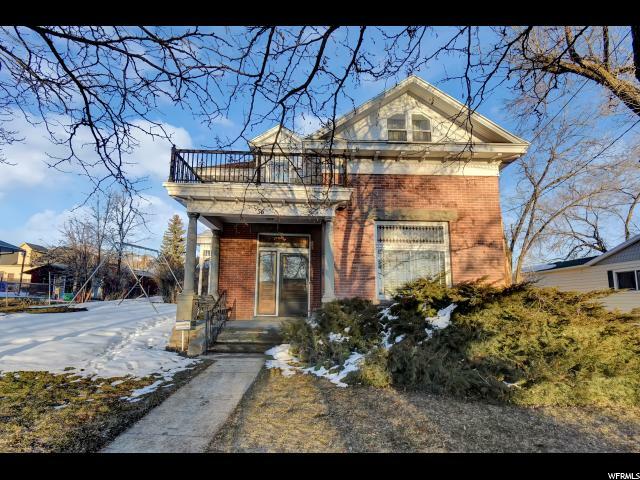 "One of the most beautiful historic homes in Sanpete County is now available. The home has the original hand combed finish on woodwork and doors throughout. Original transom above each door still functions and has the original glass. Amazing original kitchen cabinets, door handles, clawfoot tub, lighting, and wallpaper. Three original stain glass windows are in perfect condition. The summer kitchen is separate from the home and has been restored into an additional bedroom, office, or playroom. This home has so much charm and has been loved for many years. Don't miss out on owning such a special property! *Home is being sold furnished"
"NEW LOWERED PRICE! Beautiful 3.5 acres with stunning panoramic views! Comes with cozy custom built log cabin built with hand hewn authentic pioneer logs. Master bed with 1/2 bath. 2nd bedroom has a small loft with a queen bed. Basement has a separate outside entrance and is used for storage only. It includes a lot of storage shelving and an 1100 gallon water tank. Has an amazing well with great tasting water and 16 fruit trees. 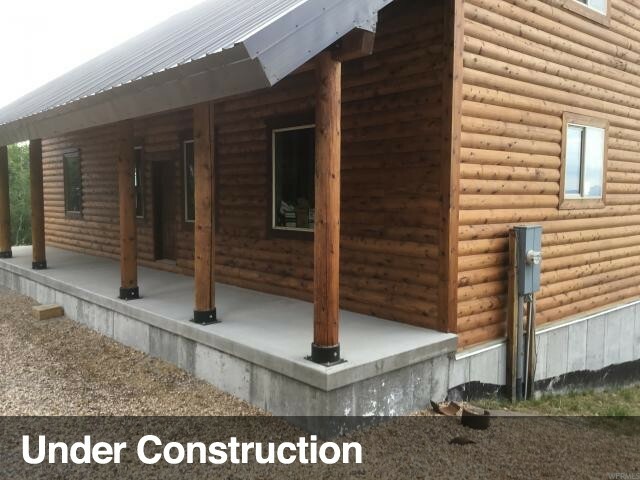 Out buildings include a pioneer log barn, storage shed, and an additional 3 room log building. Comes with a large dog kennel and 2 fenced pastures. There is also an RV hookup. Bring your animals and your toys! 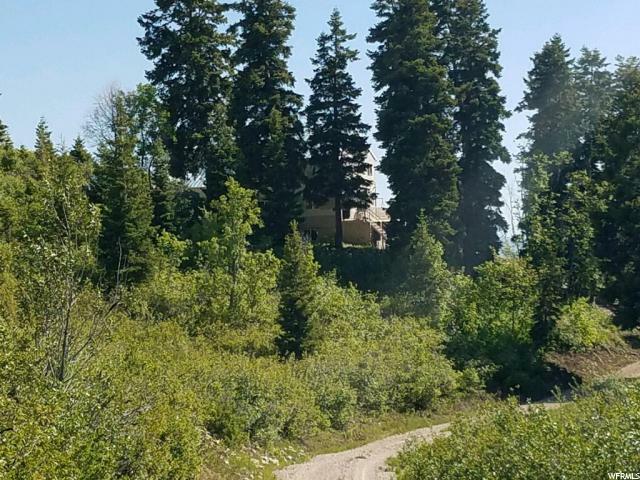 Snowmobiling, 4-wheeling and horseback riding right on your own property with access to equestrian and other trails that access Skyline Dr/Manti National Forest. Square footage figures are provided as a courtesy estimate only and were obtained from sellers measurement. Buyer is advised to obtain an independent measurement. Agent is related to seller." "Views, Views, Views. Excellent Cabin in Skyline Mountain Resort. Extra ground available. Cabin comes furnished. HOA includes a swimming pool, tennis court, golf course, club house, playground etc. HOA provides a $60 punch card each year to use amenities. " 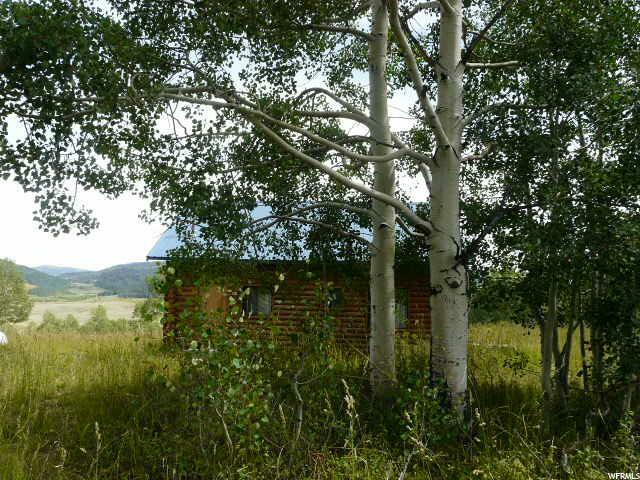 "Mountain cabin on 3.4 acres in the Manti La Sal Mountains in Northern Sanpete County. 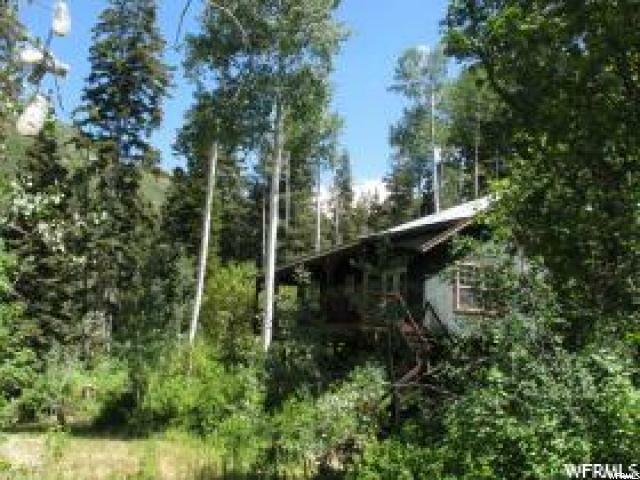 Property consists of 5 Lots in Aspen Hills being Lots 1020, 1021, 1040, 1041 & 1042. 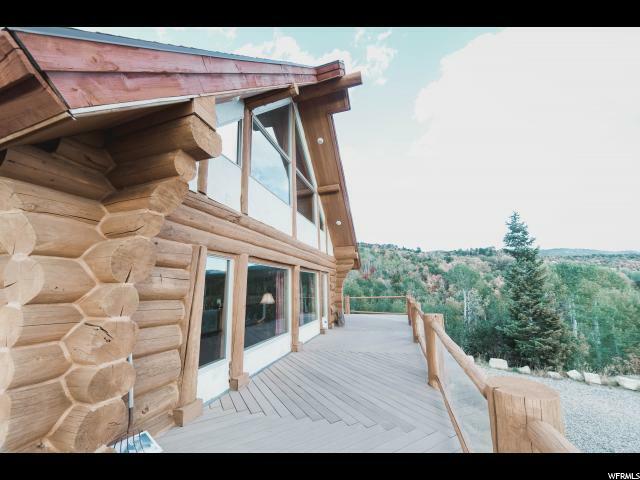 Property is located high in the mountains in a beautiful setting with large Pine and Aspen trees. A year round stream is just off the property in the valley below. 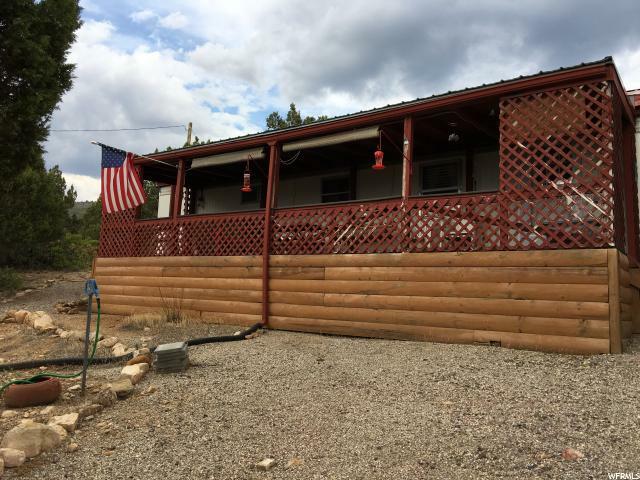 Cabin has a large 300 sq ft covered deck in front that provides a beautiful view of the valley. This is a gated community - contact listing agent to borrow a key or for a showing of the property. GPS Coordinates: 39 34'30.9N 111 21'16.7W. Elevation 7,851"
"Amazing Cabin property*lots K70, K71*Panoramic views of the mountains and Valley*Property includes a small fully functional guest house cabin, and separate 144 sq ft bath house*Roads on the property have been excavated and are graveled*Many large trees are on the property consisting of pine, aspens, maple and oak. 90 Sq ft storage shed. Two surrounding 1 acre lots available for purchase @ 30K ea K-69 (.98 acre) & K-72 (.99 acre)"
"Ready to go just bring the family, Great year round access. 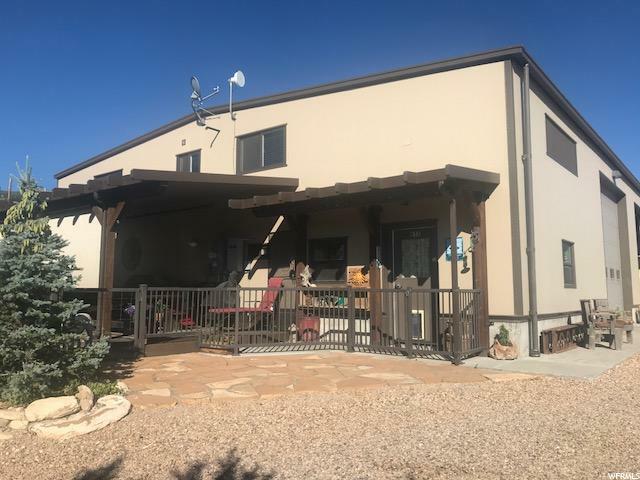 HOA Ammenities Golf Course, Tennis Courts, Swimming Pool, RV Part, Cabin Rental, Pavilion, Horseshoe Pits, Volley Ball and much more, Bring your family down for a visit."